﻿ How Secure Are Your Home Assistants? Home | Technology News | What Are the Security Implications of Smart Assistants? What Are the Security Implications of Smart Assistants? The popularity of home assistants is growing fast as about 2,000,000 home burglaries are reported each year in the United States. While before home assistants were something you see in movies, they are now a reality that we can make a part of our everyday life not just for comfort, but also for security. Our homes are becoming more and more technologically equipped – from automatic doors to all kinds of tech assistants that can make our daily lives more comfortable. The importance of home assistants is rising because they allow you to have more control of our own home even when you are away on holiday or at the office. How a home security system works is by connecting to your WiFi network so you can control any device that is also connected by simply using your smartphone. By using home assistants, you will be able to control things in your home such as thermostats, surveillance cameras, lights, smoke detectors and many more. Google Home is one of the most popular devices used for home security. With Google Home, you can control your smartphone by simply using your voice. You can use it for a wide range of tasks such as getting answers, playing music or merely adding some reminders by just talking in your own home. You can schedule, listen to the news or pick up a call when your hands are dirty from cooking. Google Home can recognize your voice which means that it will not just get activated by hearing your TV. Apart from entertainment and functionality, Google Home can also improve home security. However, it doesn’t just only do it on its own – you have to connect it to compatible devices by using your Google Home app. 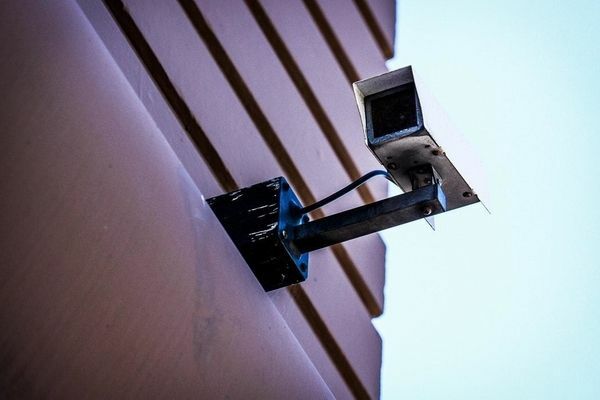 You can connect your security system to it, as well as cameras and control it through the use of your voice. 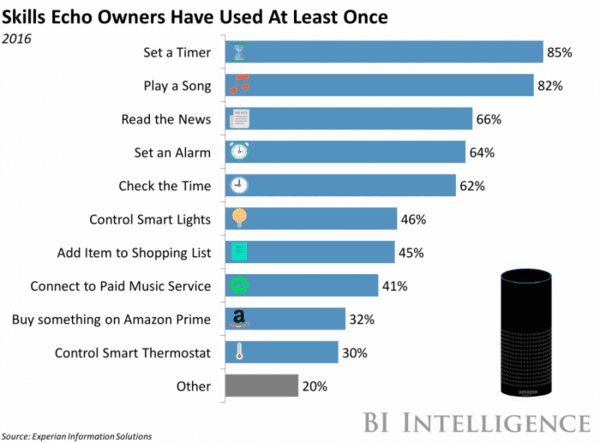 One of the most popular home assistants for security currently out there is Amazon’s Alexa or Amazon Echo. It has numerous options that allow you to protect your home in different ways. For example, when you say “Alexa, I’m leaving,” the device automatically transitions into Guard mode in which it listens to surrounding sounds. If it hears glass breaking – it will automatically send you notifications to inform you about it. Another option is turning on smart lights. Smart lights make it seem like you’re home even when you are not by just turning off and on the lights in your home systematically to make it look like you are home even if you’re halfway across the world on holiday. While it isn’t directly related to security Alexa will also learn your routines and start reminding you to do simple things we sometimes forget such as turning off the lights or remembering to lock the door before going to bed which can be crucial when security is needed. Using Siri is practiced or has been practiced by many people at some point – whether it was to ask a simple question, to call for a cab or to call your mom because your hands were busy at the time. While it may seem impossible to imagine Siri as a home security option, there are many ways in which you can use it to control certain things in your home that could help your security. For starters, you can get an app that will allow you to control the thermostat in your own home by using your voice. You can also use D-Link Omna Security Camera where you will be able to connect it to Siri and if you hear something suspicious you can ask her to open the camera feed and see what is going on. If you’re doing some renovation and you’re worried about leaks, you can use the Fibaro Flood Sensor which can connect to Siri and you can ask if there is a leak in your home at any time. Like Siri, Cortana provides similar options. Cortana can also read your emails, make calls for you and connect to numerous devices to increase security. Cortana is also able to link multiple everyday actions – for example, if you buy a ticket to a movie on Saturday night, she will ask you if she should add it to your calendar for your convenience. 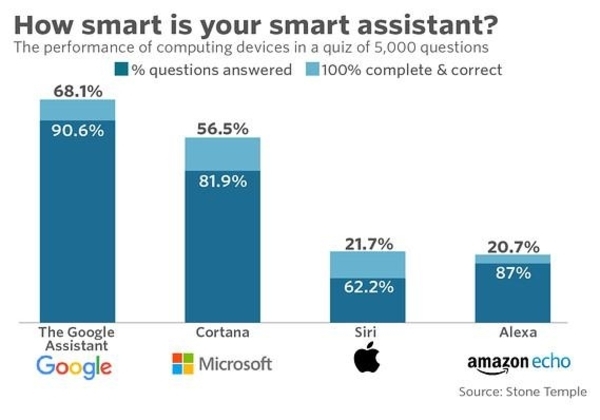 Cortana can not only help you in your everyday life but also be your assistant at work. The speakers have noise cancellation and echo reduction which means that Cortana can pick up what you’re saying even if it is noisy around you. Figuring out which home assistant works for you depends entirely on your wishes, budget, and needs. Some options are more expensive than others, and some options may not provide exactly what you need, which is why before choosing it is important to be aware of what your expectations and needs for your own home are. Worrying about privacy is a common issue when using home assistants, especially if it is for security purposes. 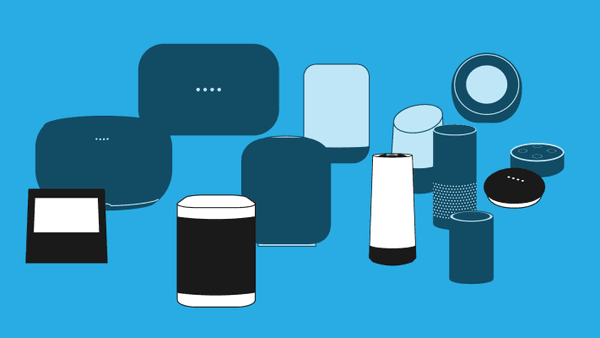 Many other concerns come with using home assistants – for example, a friend could come over, and Alexa might overhear a conversation and say something about your schedule that your friend should not hear. One of the biggest concerns, however, is someone purchasing the device without the person’s authorization. However, if voice recognition becomes a reality for all devices, then that problem and many others can easily be avoided. Proper configuration and making sure that the information that the device has is just the amount it needs to have (and not more) can be the easiest way, for now, to avoid mistakes when using home assistants for security. Another tip for protecting yourself and your device is creating a guest hotspot WiFi network instead of the one you use to connect to your home assistant devices. Right now there are many devices to choose from out there, and many more keep popping up as people are constantly trying to come up with new ways to use home assistants for security and create an easier every day for all of us. Those creations are actual virtual intelligence that can help us in more ways than we can imagine – not just for security but also for entertainment and productivity. Currently, certain risks come with them, but by configuring them correctly and being cautious, there is no reason why one couldn’t make use of the benefits they offer. If you don’t know how something works, it is easy to make mistakes – but by learning the functions and implications of home assistants for security, you can use them in your home any day.